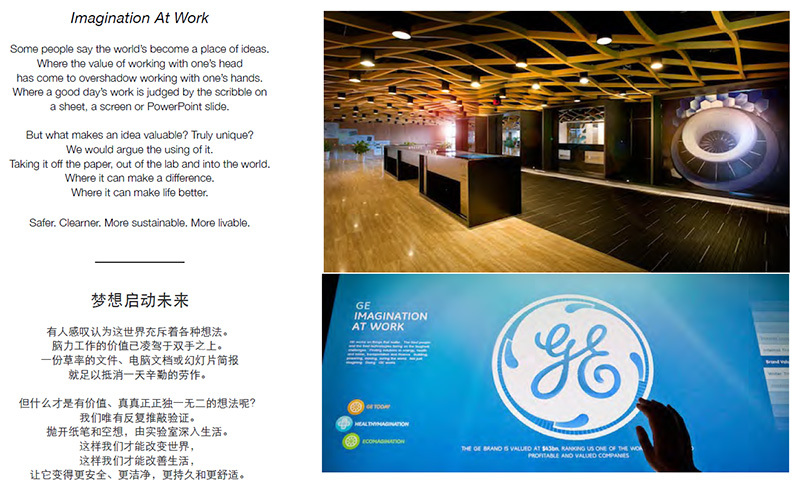 One of GE’s biggest branding push in China to date, the 2500 square China Innovative Center takes visitors on GE’s unique journey in ‘solving the world’s toughest problems’, bringing GE’s China-centric innovation strategy to life through interactive, content-driven online and offline elements - think 180 degree cinema, multi-touch tables to gesture controlled interfaces. Working closely with Imagination - creative agency responsible for producing the centre’s narrative, digital content and environment from vision to fruition – Straight managed and produced all the Chinese translation and adaption for all English content appearing in every different media. Our brief is to educate and entertain. We fulfilled it by staying close to GE’s macro, confident, optimistic tone of voice and kept all wordings precise and simple.